Grey Poupon and French's mustard are not known for their shiny advertising campaigns -- after all, these are condiments we're talking about. But the brands are now using new tactics to increase their consumer bases. While each mustard is a very different brand (not to mention that Grey Poupon is a Dijon mustard and French's is primarily known for its classic yellow mustard), the timing of the campaigns isn't coincidental -- March is the unofficial launch of grilling season. And with hot dogs and hamburgers, you can always find mustard. 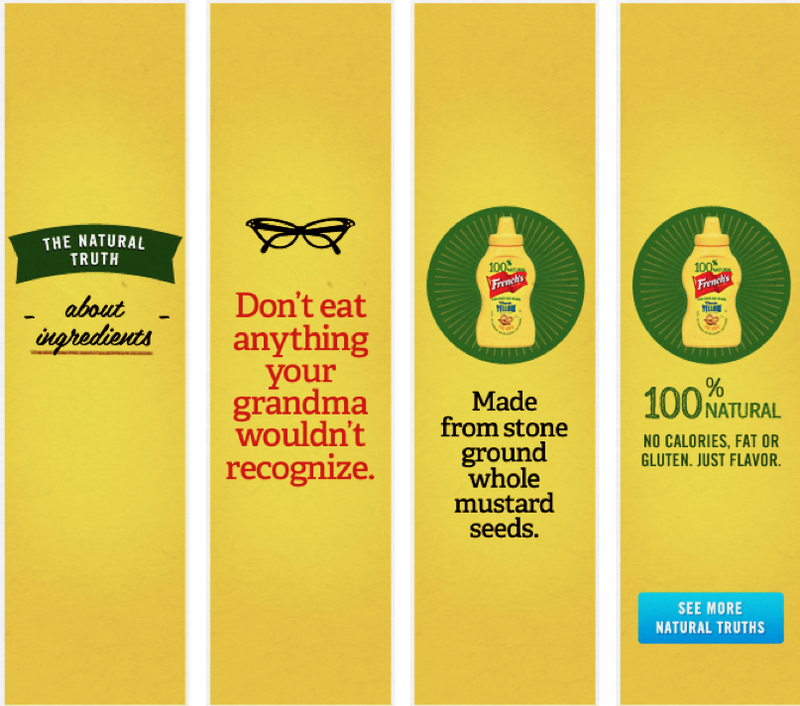 French's mustard will roll out a massive "National Truth" advertising campaign on Monday. That means national radio ads, print-out inserts in newspapers, in-store advertising, magazines ads, digital initiatives and new packaging. 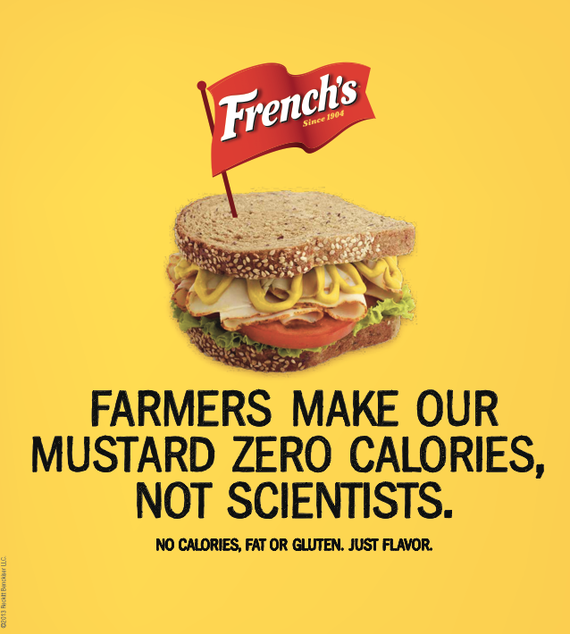 The campaign will focus on the fact that there is "absolutely nothing artificial" in the mustard, said Ukonwa Ojo, senior brand manager for French's. The brand learned from focus groups that consumers think there is yellow food coloring in the mustard, and it wants to set the record straight. "We want to layer on information about brand that they [consumers] didn't know about," Ojo said. The brand is targeting mothers for its campaign, since, Ojo said, moms do the bulk of grocery shopping for families. And while the brand is happy that the condiment is used on grilled meat, it is also ramping up promotion for alternative uses of the mustard in various recipes. French's is by far the leading mustard brand, representing 35.5 percent of overall mustard sales, according to a 2012 report by the market research firm Mintel Group. 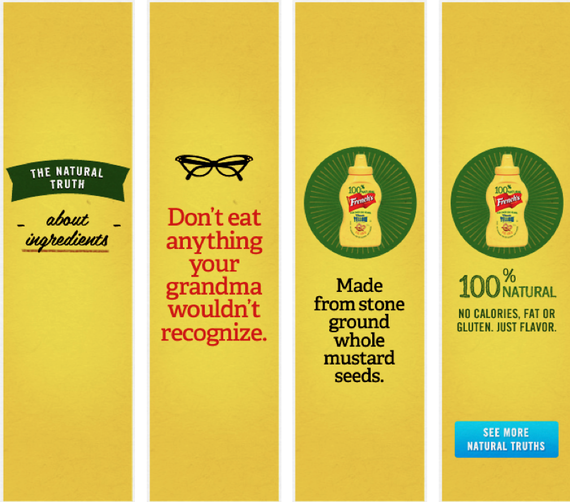 Mustard sales overall reached $508 million last year, said Beth Bloom, a food and drink analyst at Mintel. 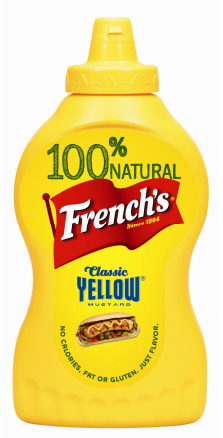 The new packaging for French's will hit shelves in April or May with a large "100% Natural" label above the brand name. In order to push the "natural" agenda, the digital campaign is taking a page from author Michael Pollan's playbook with the tagline, "Don't eat anything your grandmother wouldn't recognize" -- essentially the same line Pollan made famous, "Don’t eat anything your great-grandmother wouldn’t recognize as food." But Ojo said that Pollan was not necessarily a direct inspiration. Since the brand is more than 100 years old, she argued that your grandma probably did eat French's. 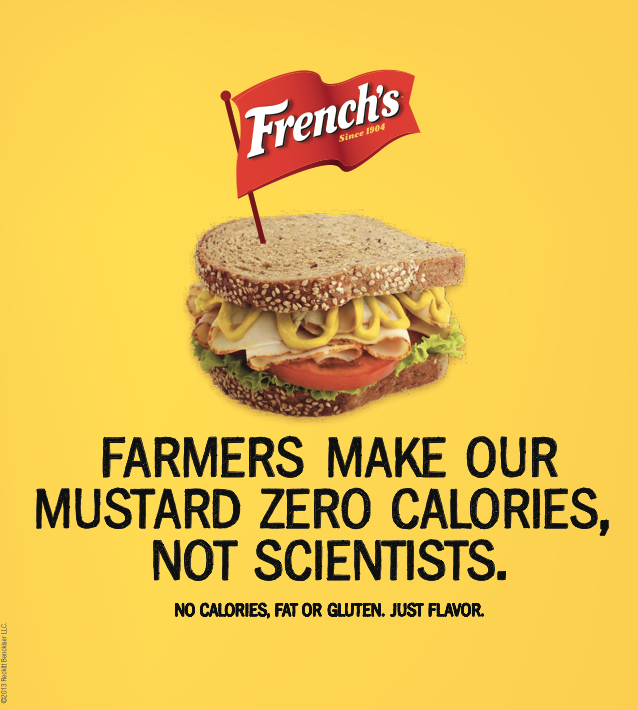 Other advertising copy includes taglines such as, "Farmers make our mustard zero calories, not scientists" (perhaps looking to the McDonald's advertising playbook on that one?) and "Made from stone ground whole mustard seeds." Bloom said she believes that one of the biggest upcoming changes for the mustard category will be the potential for emphasizing the condiment's health aspects. Unlike mayonnaise, for example, mustard is not high in sodium or fat. Her prediction is consistent with French's consumer research, which found that people were seeking healthy products. "You always have to make sure you stay ahead of the game, ahead of the trends," Ojo said. Unlike French's focus on mothers and the "natural" aspect of the product, Grey Poupon is reviving its attention on an audience of higher-end consumers. After a 16-year break from advertising, it released a new TV spot during the Oscars that re-imagines its famous "Pardon Me" ad from several decades ago. The new ad includes a big car scene chase to give it a movie-esque feel for the Oscars audience, and has already received more than 1.3 million views online as of this writing. Grey Poupon has been facing lackluster sales because of competition with other condiments in supermarkets, the AP reports. Market researcher Euromonitor said that its share of the mustard market in the U.S. was 11.4 percent in 2012, down from 13.7 percent in 2003, according to the AP. The Mintel Group estimates that Grey Poupon had a 12.6 share of the market last year. "French's blows them out of the water," Bloom said. Grey Poupon's brand manager Nadine Rich said that there was never a doubt about the kind of customer the brand wanted to target. Last year, it launched the Society Of Good Taste, a "members only" website that evaluates users on things like proper grammar and books they have read. The new campaign is not at all a departure -- Grey Poupon has always marketed itself as a premium product, she said. Bloom said that at this stage, she thinks it is still possible for French's and Grey Poupon to co-exist in the marketplace. The future is uncharted territory, though. "Those lines [between the brands] will blur a little bit," she said. Mustard adds a nice tang to your classic potato salad recipe or try a <a href="https://www.huffpost.com/entry/fingerling-potato-salad-w_n_1059865" target="_hplink">whole grain mustard dressing on your potatoes</a> for a different kind of potato salad. It doesn't stop there -- mix in a spoonful pf mustard into mashed potatoes to awaken the flavor.